Performance with Judith Egger, an artist in Munich. 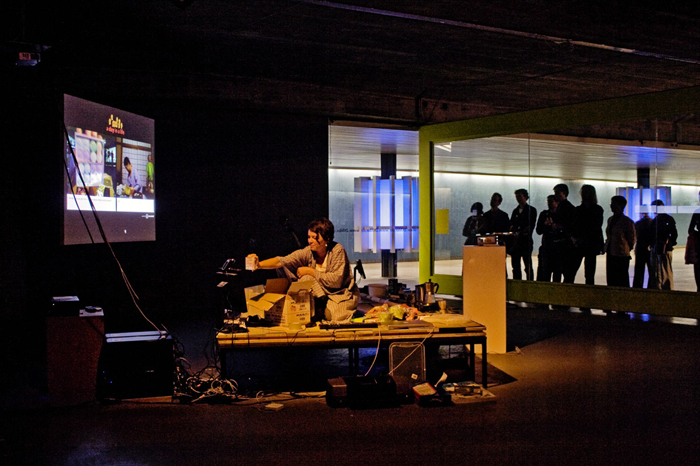 This collaboration uses the Internet to spend 24 hours together in cyberspace. Egger connected to the Internet from ZKMax, media complex in Munich, and Shiina connected from his home in Sendai. 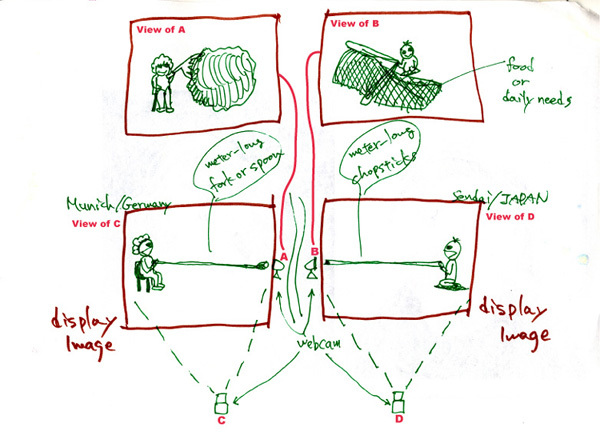 During the performance in cyberspace, they should spend as usual, conversation, playing a musical instrument together, or just lying about etc. 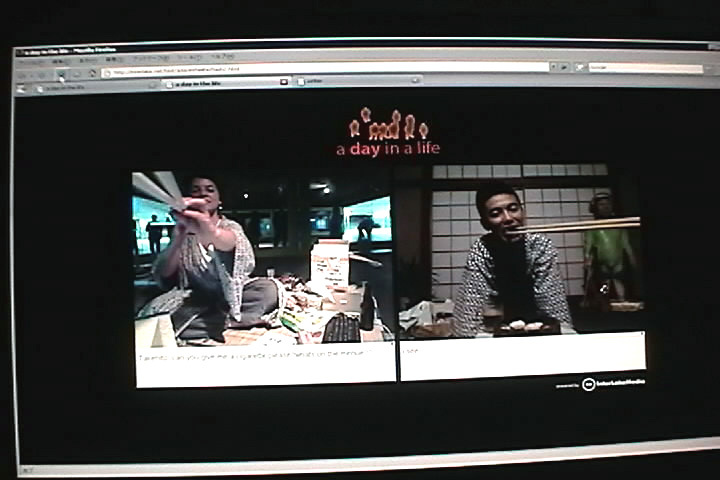 But during the meal, feed mutually each other over the monitor by using one meter long chopsticks. This is connected with an anecdote of Buddhism that people in heaven and hell use chopsticks to have a meal. The person at the center of the photo above is Judith Egger. The both are wearing Yukata, a Japanese garment for after‐bath wear at traditional Japanese inns, to associate with travel and relaxation. 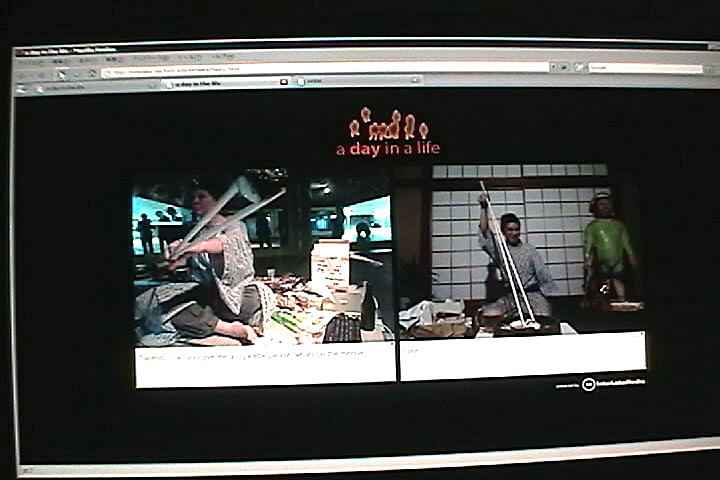 Judith Egger in Munich (left) and Takehito Shiina in Sendai (right) are feeding each other by using long chopsticks in cyberspace.